This mail is in regards to the misinterpretation of facts by HT which has defamed an army officer (Capt CR Leena) from being the first Indian lady to get a gallantry award in the Indian Army. I came to know about this blunder by HT when i met Major Sanjay Dhadhwal, office manager for an MNC in India and also defamed officer’s husband. He showed me the article written by Bhadra Sinha of Hindustan times on oct 16th 2015 stating “Lt Col Mitali Madhumita is the Army’s only woman gallantry awardee in the country”. 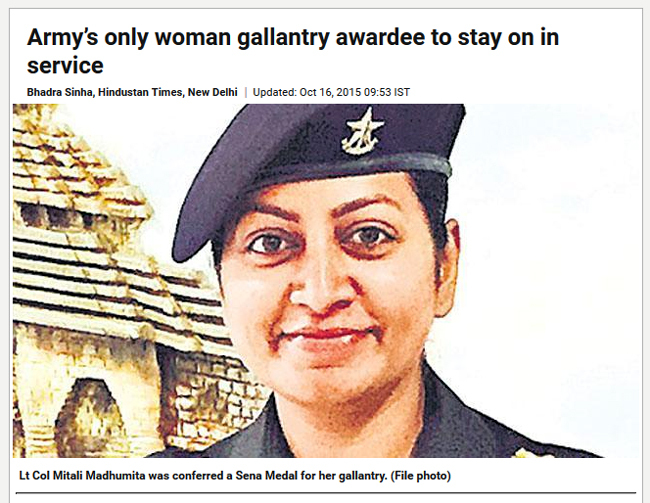 If going according to facts she is not the only women gallantry awardee in our country in-fact she is second to Capt (Miss)C R Leena. Mails have been already sent to HT and also to the journalist seeking corrigendum but they are not replying back. I would be highly obliged if you can be of any help in this matter. 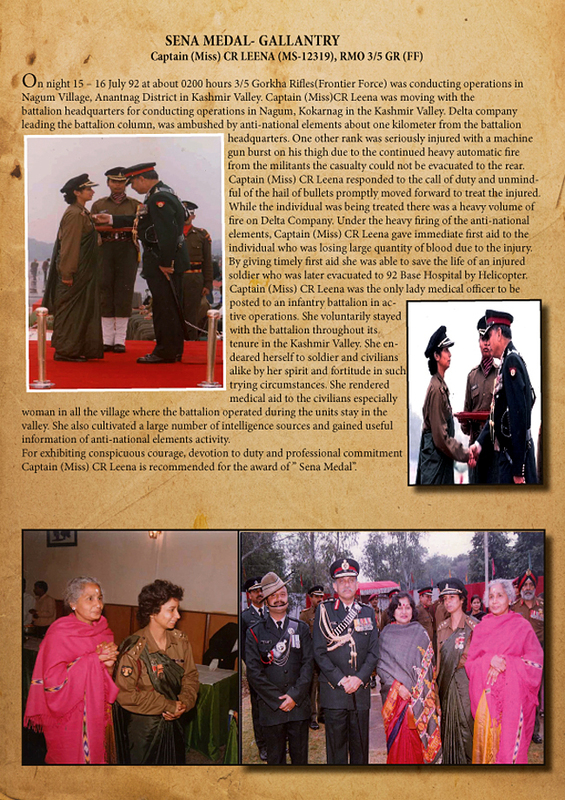 I am attaching with mails the link of the article by HT and some facts, which proves that Capt C R Leena was felicitated with the award before Lt Col Mitali. Hope you will be help the officer in getting back her pride.